Soon after I came home from work on Friday evening discovered a sparrow found its way INSIDE our house. I was nursing Maggie in her room and the thing just hopped into the nursery. At first, I thought it was a mouse, but quickly realized it was a bird. It flew away and I quickly shut her door, as my mind frantically scrambled to think up options. All I could think about was that I had to get it out. My husband was at work and wouldn't be home for several hours and there was no way a bird was going to be in the house with me and my daughter all evening. 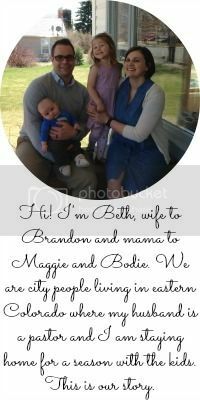 Once I got Maggie settled in her crib, I left her room, shutting her door tightly behind me. I gathered my wits about me and taking deep breaths as I searched the second floor for the bird, all the while considering possible ways of trapping it. ...but what would I do once I trapped it? I'd have to get it outside. Was the front door the best option? What about a window? I think at least one of the windows upstairs is without a screen...but which one? Shoot, which window opens easily (several are old and need to be replaced)? And then I spotted that little sparrow. It found a soft place on a folded comforter in our guest room. I turned on the light and it didn't flinch. I stood there with a towel in one hand and a large empty box in the other, my hapahazardly selected "tools" for bird catching that I barely remember grabbing. Realizing the sparrow wasn't moving (though still very much alive), I walked to the window in the guest room and opened the blind. Much to my relief it was a newer window AND without a screen so I could easily open it. With the window ajar, I waved my hand in the direction of the bird as if to coax it out of our home and into the cold winter night. But it just stared at me, motionless. Fine, I'll pickup the comforter. Leaving the window ajar and praying another bird wouldn't think a party was going on inside, I picked up the comforter with both hands, all the while thinking the bird would fly away at any moment and I'd be back to square one. Miraculously, the bird sat there while I carried it to the window. But it didn't magically fly away like I imagined. I tousled the comforter and it was gone. My heart was still pounding as I threw the comforter on the floor and slammed the window shut. I was so relieved it was over and even more that I didn't have to kill the sparrow (not that I was planning on it). After all, it was pretty cute. Just this morning I was again reminded that we love because he first loved us in an oh-so-encouraging way from the daily devotional at She Reads Truth. 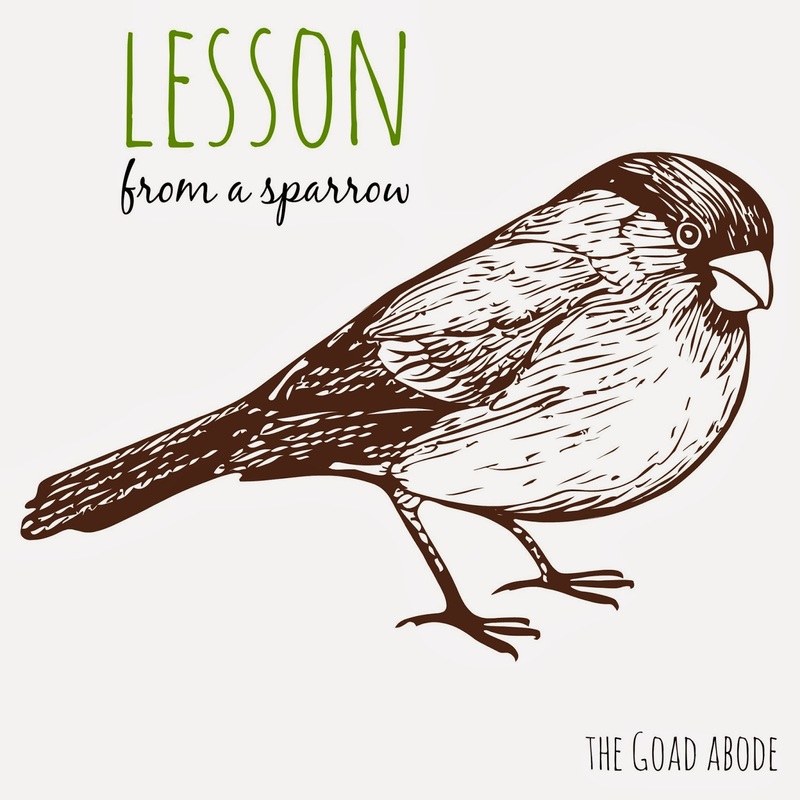 Thinking back to Friday night, I am stunned at how He allowed me to love even an unwanted intruder a little sparrow. My seven month old won't remember that situation, but she does watch me and soon enough my actions will be under more scrutiny (by her) than ever. Next time I hear a bird chirping outside my window, I will listen to make sure it is outside and then I will ask the Lord to allow its song remind me that I can love only because He first loved us.